Evolution of the numeral 3 from the Brahmin Indians to the Europeans. The word evolution basically means "gradual change". In the broadest sense the word is all-pervasive; stars, galaxies, languages, attitudes, maturity and political systems all evolve through time. Biological evolution: attempts to understand and describe how the genetic characteristics of species change over time, as a result of recombination, mutation, natural selection, and genetic drift. Stellar evolution: the field of astronomy that describes the theoretic changes that stars are believed to undergo during their life cycle, including star formation. Since these changes are believed to occur over millions or even billions of years, astrophysicists theorize about how stars evolve by observing numerous stars, each at a different point in its life cycle, and simulating stellar structure with computer models. General theory of evolution: the speculation that all life originated through purely natural processes without any act of creation (abiogenesis). 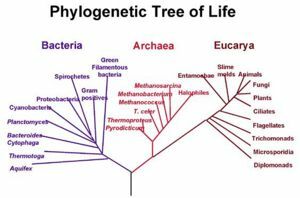 It is theorized that all life on Earth originated from a single ancestral cell (common ancestry). All the biological complexity, adaptivity, and artistry on the planet is solely the result of random changes and natural selection over billions of years. It encompasses chemical evolution, the origin of life, biological evolution, and the common descent of all life on Earth. The distinction between these uses of the word "Evolution" is important, because creationism acknowledges that adaptation/variation is a true and scientific reality, but argues that the form of adaptation/variation proposed by the theory of evolution is a speculative farce, overwhelmingly discredited by the scientific evidence. 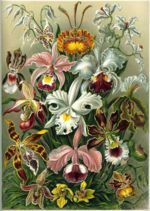 Plate from Ernst Haeckel showing various types of orchids. Biological evolution (as accumulation of function over time) is synonymous with the theory of evolution. Adaptation/Variation-within-kind however, is an observable scientific fact, because the mechanisms of change in populations over time have been obvious and observable for thousands of years. Even the ancient Spartans enforced a policy of eugenics in an effort to promote desirable characteristics in their gene pool. The theory of evolution aligns with the notion of new-genetic-material and makes a number of other unfalsifiable or false claims about the origin of life, to include abiogenesis, common descent, and the like, which cannot be observed as biological can be observed, and which are highly speculative in nature. Also, biological changes in an individual organism such as metamorphosis or embryonic development are not considered evolution, because the process must transcend the lifetime of a single individual. The changes in populations that are considered 'evolutionary' are those that are inherited through genetic information from one generation to the next. Biological evolution can be summarized as a change in allele frequency in a population over time. However, as this definition is used to justify new-genetic-material or mutations-rise-to-function, but also dovetails to the concept of variation-within-kind, we must be careful to make this distinction when discussing or debating the subject. Of note is that is the biological evolutionary proponents do not include abiogenesis as part of the evolutionary model. They consider that an "imperfect replicator" was the starting point for evolution, and don't concern themselve with what happened between abiogenensis and the advent of this imperfect replicator. As such, the imperfect replicator is nothing more than a thought experiement, and thus the foundational starting point for biological evolution is likewise a thought experiment. It is important therefore to avoid the use of the word "evolution" when discussion creationist viewpoints. While some creationists will attempt to redescribe "micro-evolution" as being the creationist model, this is inaccurate. Whether "micro" or "macro", the term "evolution" still means moving from simple-to-complex, gaining function over time. The creationist model rejects the notion of gain-of-function over generations. As noted in the above, the "speciation" aspect of evolution has never been observed. "Specialization" however, is observed frequently, and simply occurs when a population adapts to its habitat in a manner than reduces its adaptability in other habitats. This exemplifies a loss-of-function model, in that the ancestors are more adaptable than their descendants. The evolutionary model suggests that the ancestors will largely be less functional than their descendants, and also proposes that natural selection is the primary driver of this outcome. As John Sanford notes in Genetic Entropy, natural selection can only be applied at the individual level, not specific genes. So the "good" genes and the "bad" genes are joined at the hip and natural selection has no capacity to reject the bad genes in favor of the good ones. They are an all-or-nothing proposition. Thus the evolutionary model proposes a functional starting point and gain-of-function over time, where the creationist model proposes that the genome started out "very strong" and "highly adaptable" and lost strength and adaptability over generations as the populations pushed toward and specialized into different habitats. The concept evolution presupposes materialism to be true. According to it, species always originate or arise from material environments interacting with previously living species. Once such a presupposition is accepted it cannot be falsified, but only modified. This makes evolution untestable, and as such violates the usual rules of scientific inquiry—a weakness that does not seem to have deterred any of its proponents. The general theory of evolution encompasses the historical claims that life originated through random natural processes (abiogenesis), and diversified through genetic variability and natural selection. It furthermore asserts that all life on Earth shares a common ancestry. The idea is ancient in origin, being held by Greek philosophers such as Anaxagoras, but was recently revived in Europe and America during the secularization of the 19th century. However, no one has produced any credible observation of any mechanism for evolution actually occurring in the wild. Evolutionism comes in many forms, but most predominately atheistic, pantheistic and theistic evolutionist. Atheistic evolutionists believe that evolution occurs solely through natural means. Theistic evolutionists believe that God guides the process of evolution. Pantheistic evolutionists believe that evolution is part of how the spirit of the cosmos develops over time. Some evolutionists have been known to commit a logical fallacy by conflating adaptation/variation and the general theory of evolution. The argument goes like this: "There is a great deal of evidence for biological evolution. Therefore the general theory of evolution is true." This argument is fallacious, because while adaptation/variation makes no claim as to the origin of life and allows for the possibility that it was originally created, the general theory of evolution claims that life originated by chance through abiogenesis, a speculation for which there is neither evidence nor comprehensive explanation. Further, while adaptation/variation says only that life changes over time, but allows that some biological diversity may be the result of creation, the general theory of evolution holds that this change occurs without limits, and that all biological diversity is due to evolution, another speculation for which there is neither evidence nor comprehensive explanation. The problem is one of degree. Darwin observed changes in the shape and size of the beaks of finches. From this observable and very minor example of adaptation/variation, he created a general theory of evolution, that all species diversity is a result of biological evolution. Quite unfortunately, he attributed the variation in finch beaks to "new" traits rather than recombination of existing ones. If he had returned to Galapagos when the islands were under extreme climate conditions, the food supply change causes the finch beaks to change all over the island. When the climate change abates, the finch beaks change again. In reality, the finch beaks are adaptive and variable but do not exhibit "evolution". By conflating adaptation/variation with the general theory of evolution, these evolutionists make arguments that sound meaningful, but are actually meaningless. They note changes in the size of finch beaks, and infer (without evidence) that bears can evolve into whales. They note superficial changes in structure by natural selection, and infer that the structure itself evolved by the same mechanism. Or, more generally, they prove adaptation or variation (an idea nobody disputes), but fail to provide evidence for the general theory of evolution, and then claim that their evidence for adaptation and variation supports the general theory. ↑ Aw, S. E (1982). Chemical Evolution: An Examination of Current Ideas. San Diego, California: Master Books. p. 107. ISBN 0-89051-082-2. The Facts about Intelligent Design: A Response to the National Academy of Sciences’ Science, Evolution, and Creationism by Casey Luskin. Intelligent Design and Evolution Awareness (IDEA) Center. January 15, 1985. This page was last modified on 13 November 2018, at 16:16.